I never realized how immature I am until I saw this image. I've seriously been there before. its in South Carolina. Two shops in Gays arcade: Brown's (a store for "Big" men) and a pub called "The Dicken's inn". Seriously. 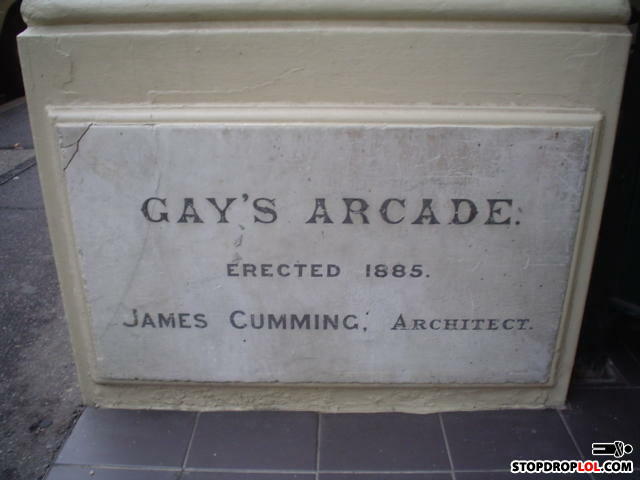 would have been better as "erected 1691"
In 1885 there were no video games... but there were still coin slots and joysticks.